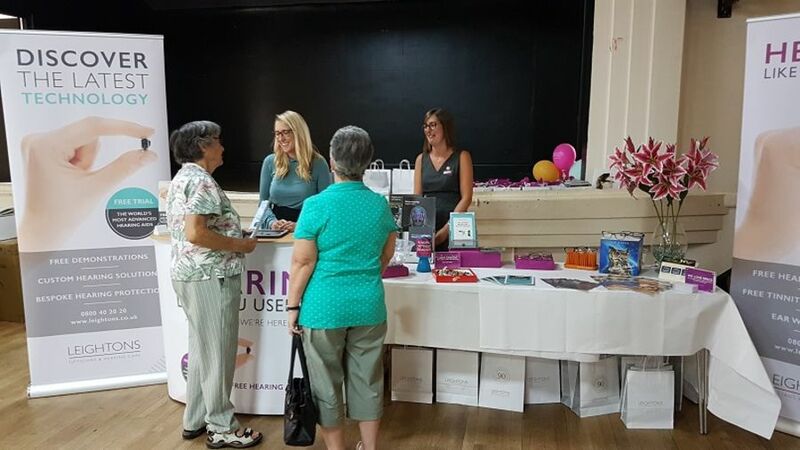 On Wednesday 4th July, Leightons Totton took part in a local community event organised by Open Sight, a charity that supports those with, or at risk of sight loss across Hampshire, hosted at Empire Hall in Totton. Our team were invited after an Open Sight representative visited the branch and shared a flyer with Branch Manager, Gemma Dixon, who then requested to attend the event, to share with the community how hearing becomes more important to aid in independence when suffering with visual impairment. The charity were delighted to have Leightons there, with both Gemma and Audiologist, Meryl Chambers attending, along with Area Manager, Lee Janes. With over 15 stalls on the day showcasing a wide variety of visual aids, Meryl was able to share her knowledge and expertise on hearing care - from wax to removal, to understanding tinnitus and the latest technology used, to ensure Leightons provide a truly personal service. As well as offering advice and expert knowledge to the community, the team also wanted to add some fun to the day, with a free prize draw to win lens cleaning kits, Ear Wax Removal and even an Ultimate Eye Examination. 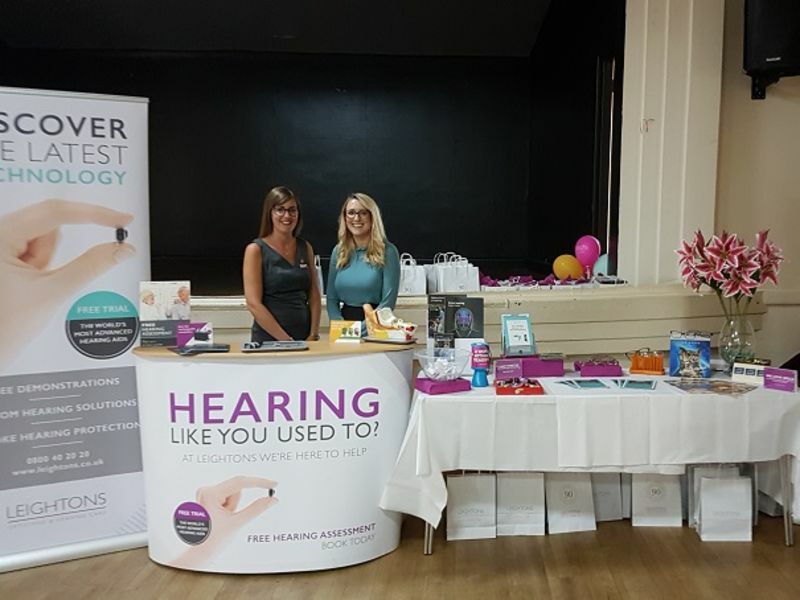 "The Open Sight event was the first event we have attended to promote hearing and we were excited to join and support the community. We had a lovely time talking to the local community and we are looking forward to seeing them again when they come in for their appointments. This day would not have been a success without the support of my amazing team in Totton; Jenny, Laura, Alicia and Meryl. Meryl has only been with us 3 months but was keen to support us and the community. I also want to thank Lee for all his support in getting things organised for the day and being there to support us too. Lastly, our suppliers were really generous: Spectrum Thea, Continental, William Morris, Mondottica, Stepper, Oticon and Hoya all gave us some lovely gifts to share in our goody bags. We cannot wait to go back next year!" Thank you to everyone that came and spoke to us on the day, and if you do want to get in contact with the team at Leightons Totton, you can email or call them on 02380 862 456.